Thanks to modern DNA testing, we now know that Chardonnay is the result of a cross between Pinot and Gouais Blanc grape varieties. The Gouais Blanc is a Hungarian grape brought to eastern France by the Romans, as were so many of the other now famous French grapes. The earliest confirmed mention of Chardonnay is from the late 1600’s and the village of Ste. Sorlin. This is not far from the village of Chardonnay in southern Burgundy, which gave the grape the name we know today. Chardonnay is known as an exceedingly adaptable grape that is so easy to cultivate that it has to be managed to avoid over-production. The juice it produces is mild and without a dominant flavor, so it is very adept at picking up flavors and aromas depending on terroir and process. It is this flexibility which has made it so popular that it has become the entry wine for international wine production. As a result, Chardonnay is produced in saleable quantity, and at a variety of qualities in almost every wine growing country and region in the world. This has led some to bemoan a globalization trend in wine, however Chardonnay is so changeable and reflective of localized differences in terroir and winemaking process that each winery can produce a unique wine that represents their style and goals. Chardonnay is most commonly consumed as a standalone varietal and as a key component in most sparkling wines throughout the world. As its production increases, it is also being used as an informing blending grape to provide structure to other varietals. In France, it is one of, if not the, primary grape in three major growing regions; Burgundy, Champagne and Chablis with finished wines ranging from light sparkling to full bodied minerality. 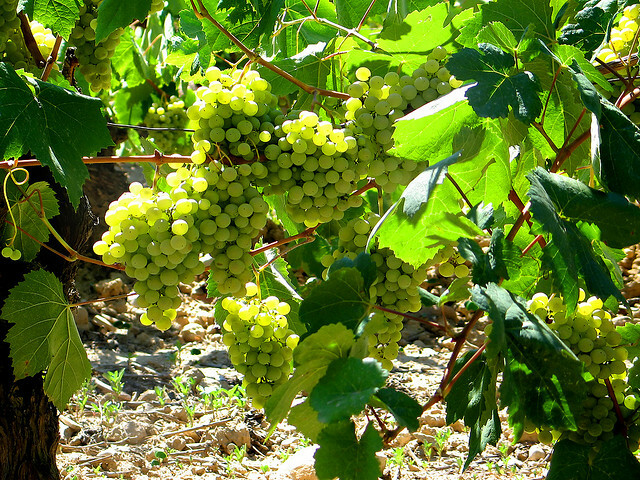 Chardonnay holds similar positions of prominence in most countries it is produced. 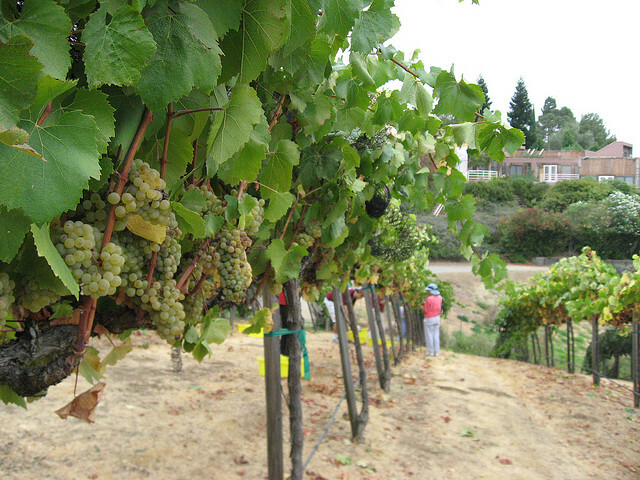 In California, it is the most popular white wine grape grown tending towards higher alcohol and sweeter flavors, though that is changing as newer wine regions experiment with the grape. 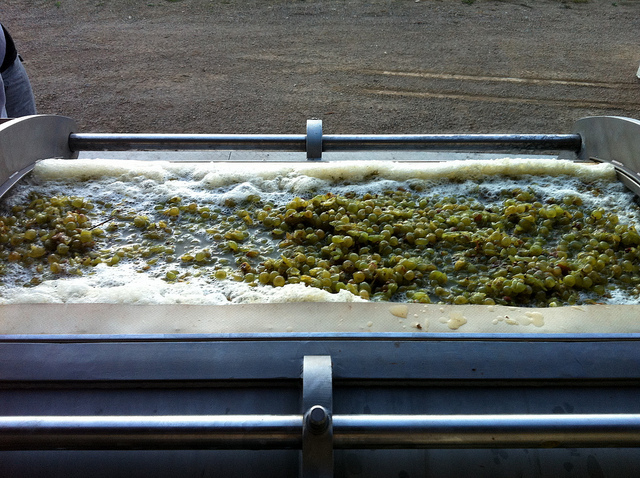 In Australia, most Chardonnays tend towards the crisp while in German wines favor fuller body. Throughout the world, Chardonnay reflects the styles and flavors that predominate in each region. With all of these grapes available, it means that as consumers we can find a wide range of styles, flavors and expressions of the Chardonnay grape, ranging in price from $2 to well over $1000 dollars a bottle. A big part of the flavor differences in Chardonnay lead from the decisions made during the winemaking process. This can range from whether or not to use malolactic fermentation, which can create that “buttery” sensation that is so common in new world Chardonnay to questions on how much, and what type of oak to impart, which can add flavors of cinammon, spice, caramel, cream and vanilla. Other techniques that reflect in the final flavor of the product include the stirring of lees, barrel fermentation, and the allowance of botrytis. After that, the time of harvest and the altitude, location and slope of the vineyard can make a huge difference. Earlier harvesting and cooler climes can lead to more acidic, steely or floral flavors while warmer regions and late harvesting can lead to fruiter wines with potential heavier body. Wherever it comes from, Chardonnay can be a great companion with a diverse selection of food, depending on the style and terroir of the vineyard. Oakey Chardonnay pairs better with richer sauces heavy in cream and/or butter while unoaked versions favor lighter dishes and a little more spice. It requires exploration of different regions and suggestions from others to find the best match for your meal. Common Food Pairings: Poultry, pork & seafood dishes, plus recipes heavy in cream and/or butter. Un-oaked Chardonnay also pairs well with slightly spicier foods, but Chardonnay can run the gamut and you can often find a variety of Chardonnay that will pair with almost any lighter food.